Thank you for your interest in The Salvation Army. We are pleased to offer you opportunities to increase the value of your estate for yourself, your family, and your community. I am glad that you are interested in learning about the many benefits of planned gifts. Arranging a planned gift is a thoughtful process. A planned gift offers you an excellent opportunity to support your community, The Salvation Army, and your own financial goals at the same time. I welcome the opportunity to speak with you and your advisors in confidence and with no obligation. Answering your questions and providing results for your specific situation is our way of saying we care about the things you care about. 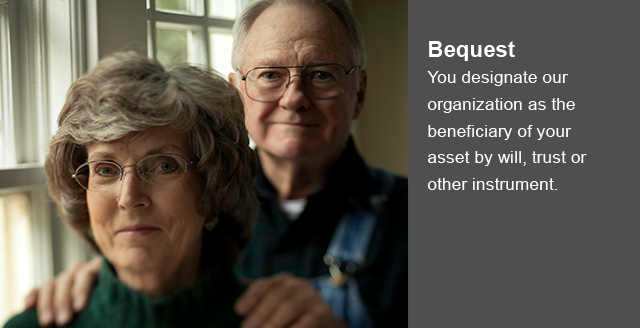 Using your assets to provide for yourself, your loved ones, and those with needs in your community is what planned giving is all about. If you would like additional information click here or you can call 1-800-658-6499. Thank you again for you interest and support of The Salvation Army. I look forward to hearing from you.